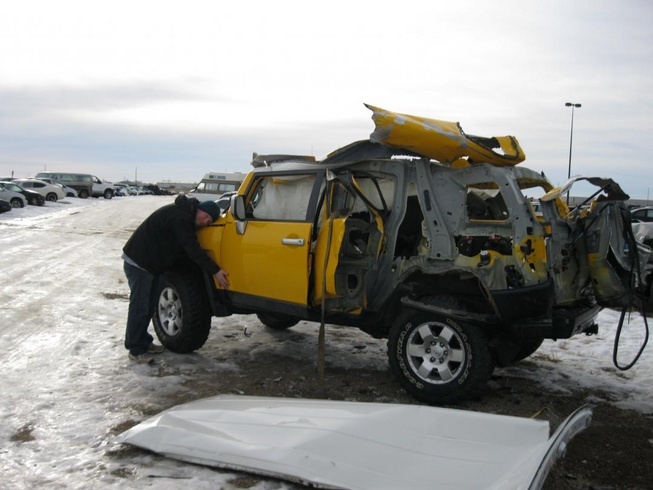 A Canadian man is lucky to be alive after his yellow Toyota FJ Cruiser blew up while he was sitting inside. The man was apparently carrying a tank of acetylene in the luggage bay. 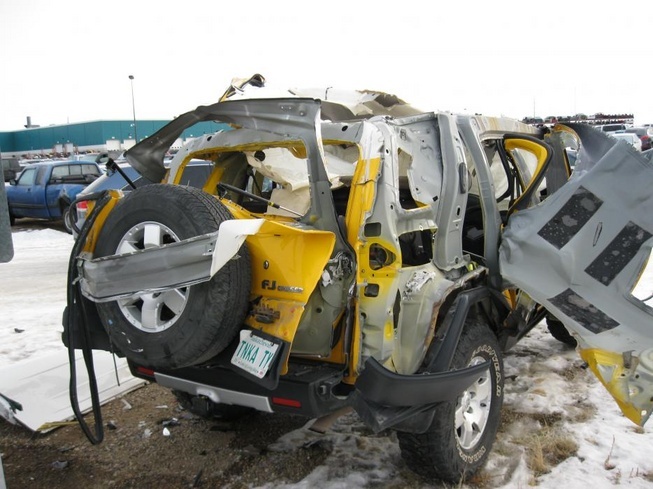 The vehicle had been bumped, causing the liquid to leak. The next morning, upon smelling the acetylene, the owner decided to drive the SUV out of the garage to avoid any disasters. Once would think switching on the ignition caused the damage, but rather when the owner wanted some fresh air, an electric signal, via the electric windows, immediately triggered a large explosion that tore the FJ Cruiser open like a tin fibreglass can. 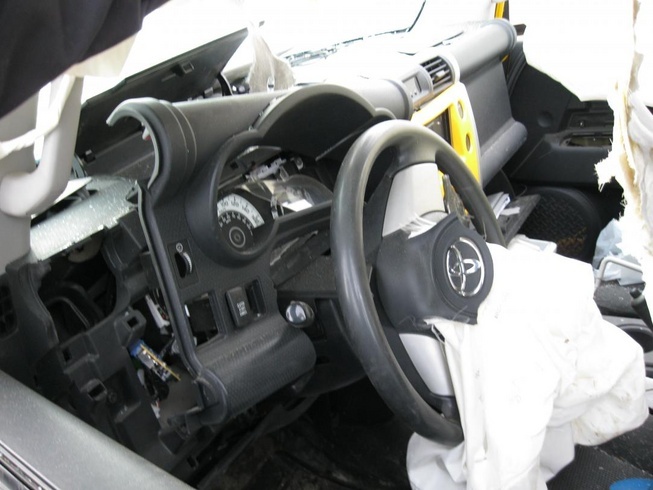 The owner managed to escaped with minor injuries. Lucky for some, as some acetylene explosions are not so forgiving, as someone shared this shuddery footage from an unrelated acetylene explosion that claimed a man in Australia.